Recently, I've had the task to set-up a Squid Cache (Open Proxy) server on a custom Port number to make it harder for internet open proxy scanners to identify and ship it to a customer. What is Squid Open Proxy? An open proxy is a proxy server that is accessible by any Internet user, in other words anyone could access the proxy without any authentication. Squid is a caching proxy for the Web supporting HTTP, HTTPS, FTP and other protocols. It reduces bandwidth and improves response times by caching and reusing frequently-requested web pages. 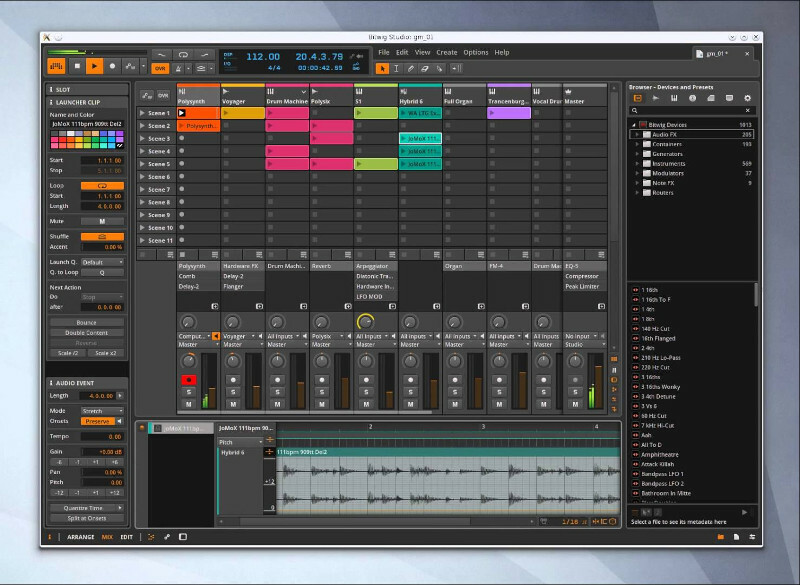 Squid has extensive access controls and makes a great server accelerator. It runs on most available operating systems, including Windows and is licensed under the GNU GPL. 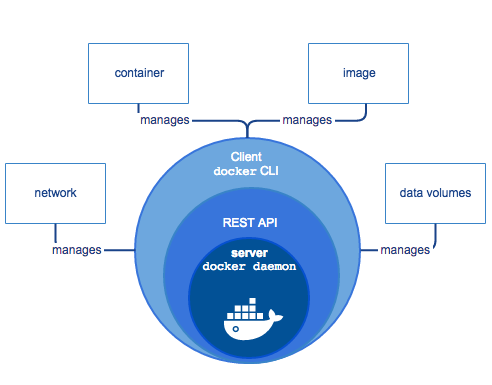 For those who hear about Docker for a first time, Docker is an open-source software platform to create, deploy and manage virtualized application containers on a common OS such as GNU / Linux or Windows, it has a surrounding ecosystem of tools. Besides its open source version there is also a commercial version of the product by Docker Inc. the original company that developed docker and is today in active help of the project. Kubernetes, in short, is an open source system for managing clusters of containers. To do this, it provides tools for deploying applications, scaling those application as needed, managing changes to existing containerized applications, and helps you optimize the use of the underlying hardware beneath your containers. Kubernetes is designed to be extensible and fault-tolerant by allowing application components to restart and move across systems as needed. Kubernetes is itself not a Platform as a Service (PaaS) tool, but it serves as more of a basic framework, allowing users to choose the types of application frameworks, languages, monitoring and logging tools, and other tools of their choice. 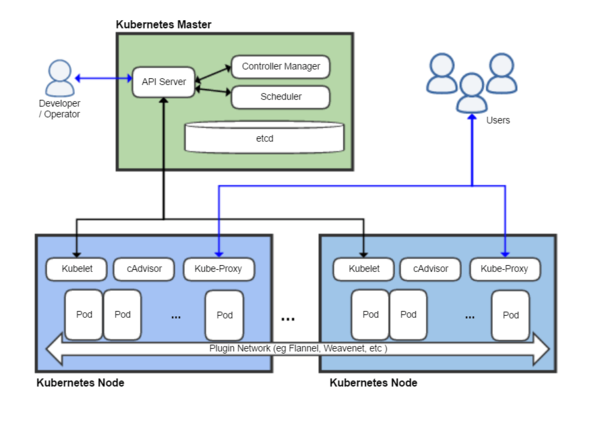 In this way, Kubernetes can be used as the basis for a complete PaaS to run on top of; this is the architecture chosen by the OpenShift Origin open source project in its latest release. The Kubernetes project is written in the Google developed Go programming language, and you can browse its source code on GitHub. Docker containers are similar to virtual machines, except they run as normal processes (containers), that does not use a Hypervisor of Type 1 or Type 2 and consume less resources than VMs and are easier to manage, nomatter what the OS environment is. Docker uses cgroups and namespace to allow independent containers to run within a single Linux instance. Below docker install instructions are for Debian / Ubuntu Linux, the instructions for RPM package distros Fedora / CentOS / RHEL are very similar except yum or dnf tool is to be used. c) check out the docker policy (will list you a multiple installable versoins of docker). In dockerfile it is common to define for use an entrypoint.sh which is file with shell script commands definitions, that gets executed immediately after Docker fetches the OS from its remote repository on top of the newly run OS. It is pretty much like you have configured your own Linux distribution like using Linux from Scratch! 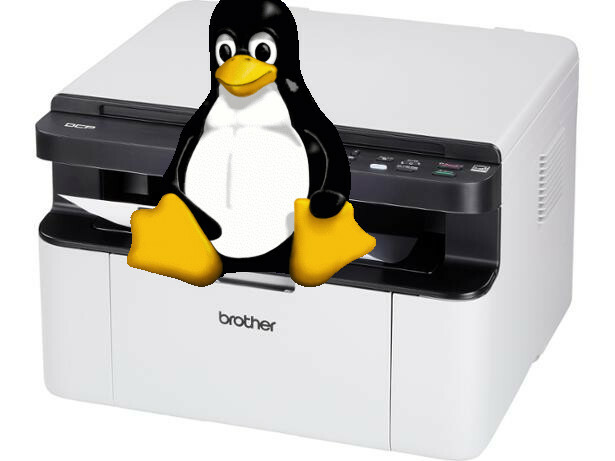 to run on a bare-metal (hardware) server and part of the installation OS process you have made the Linux to run a number of scripts or commands during install not part of its regular installation process. The docker account is necessery in order to push the built docker image later on. Creating the account creates just few minutes time. I'll not get into details on the syntax that Dockerfile accepts, as this is well documented on Docker Enterprise Platform official website but in general gettings the basics and starting it is up to a 30 minutes to maximum 1h time. After playing a bit to achieve the task to have my Linux distribution OS (Ubuntu Xenial) with Squid on installed on top of it with the right configuration of SQUID Cacher to serve as Open Proxy I've ended up with the following Dockerfile. You can download the Dockerfile here. Apart from that I've used the following entrypoint.sh (which creates and sets necessery caching and logging directories and launches script on container set-up) permissions for SQUID proxy file that is loaded from the Dockerfile on docker image build time. 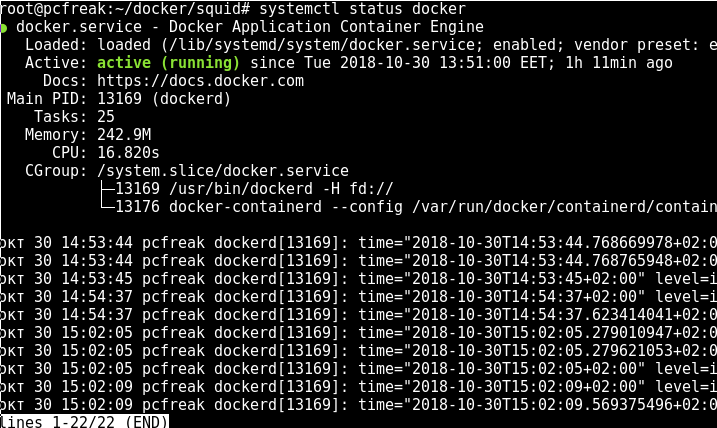 Once, I've created, the proper Dockerfile configuration, I've made a tiny shell script, that can create / re-create my docker image multiple times. docker build -t $DOCKER_ACC/$DOCKER_REPO:$IMG_TAG . https://hub.docker.com/u/your-username-name – for example mine is hipod with repository name squid-ubuntu, my squid-ubuntu docker image build is here, you'll also need to provide the password inside the script or if you consider it a security concern, instead type manually from command line docker login and authenticate in advance before running the script, finally the last line docker push pushes to remote docker hub the new build of Ubuntu + SQUID Proxy with a predefined TAG that in my case is latest (as this is my latest build of Squid – if you need a multiple version number of Squid repository just change the tag to the version tag line number. Please consider that in order to work with docker hub push / pull, you will need to have a firewall that allows connection to dockerhub site repo, if for some reason the push / pull fails, check closely your firewall as it is the most likely cause for failure. -p option tells docker to expose port (e.g. 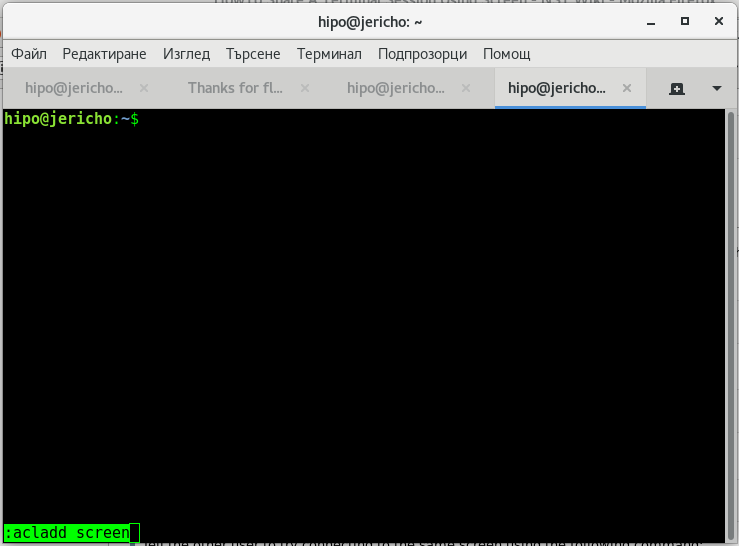 make NAT with iptables from the docker virtual container with Linux OS + SQUID listening inside the container on port 3128 to the TCP / IP 3128 server port). You can use iptables to check the created Network Address Translation rules. For clarity I've created one liner script run-squid.sh you can download here. The task included to deploy two different Open Proxy squid servers on separate ports in order to add them external cluster Ingress load balancing via Amazon AWS, thus I actually used following 2 yaml files. The service is externally exposed via later configured LoadBalancer to make the 2 squid servers deployed into k8s cluster accessible from the Internet by anyoneone without authorization (as a normal open proxies) via TCP/IP ports 33128 and 33129. Though it all looks quite simplistic I should say creating the .yaml file took me long. Creating system configuration is not as simple as using the good old .conf files and getting used with the identation takes time. Now once the LB are configured to play with k8s, you can enjoy the 2 proxy servers. If you need to do some similar task and you don't have to do it for a small fee, contact me. (under domain lets say domain's email my-server1.com should forward to to SMTP domain my-server-whatever2.com (e.g. 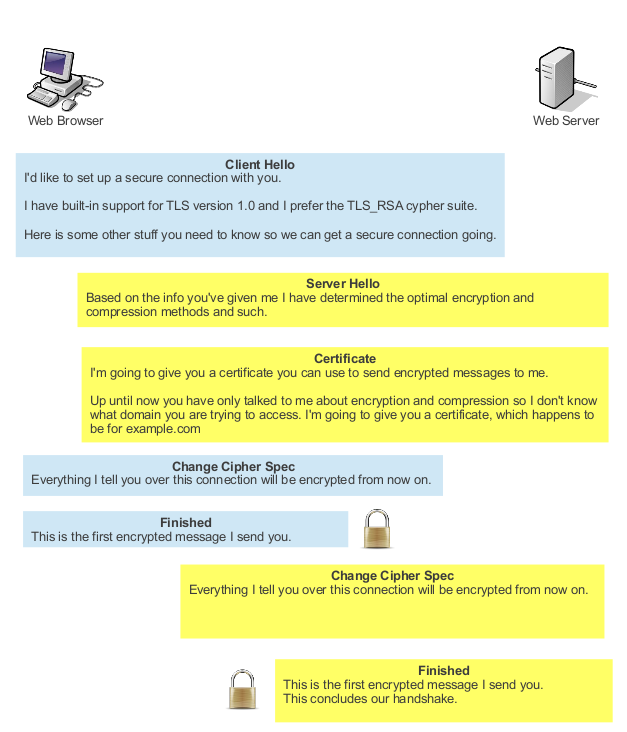 your-email-username@server-whatever1.com is supposed to forward to your-email-username2@server-whatever2.com). That's all now send a test email, just to make sure redirection works properly, assuming the .qmail file is created by root, by default the file permissions will be with privileges root:root. Do you have friends who want to learn some GNU / Linux or BSD basics remotely? Do you have people willing to share a terminal session together for educational purposes within a different network? Do you just want to have some fun and show off yourself between two or more users? If the answer to the questions is yes, then continue on reading, otherwise if you're already aware how this is being done, just ignore this article and do something more joyful. Some long time ago when I was starting to be a Free Software user and dedicated enthusiast, I've been given by a friend an interesting freeshell hosting access and I stumbled upon / observed an interesting phenomenon, multiple users like 5 or 10 were connected simultaneously to the same shell sharing their command line. I can't remember what kind of shell I happen to be sharing with the other logged in users with the same account, was that bash / csh / zsh or another one but it doesn't matter, it was really cool to find out multiple users could be standing together on GNU / Linux and *BSD with the same account and use the regular shell for chatting or teaching each others new Linux / Unix commands e.g. 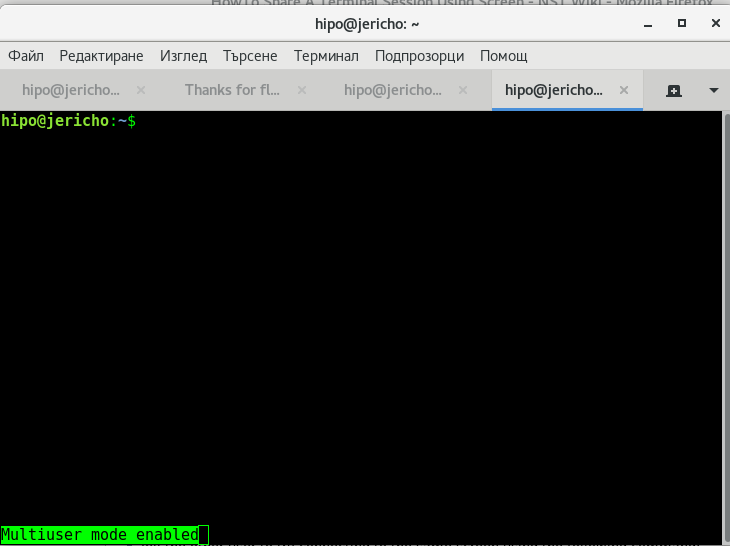 being able to type in shell simultaneously. There is plenty of things to use screen for as it provides you a way to open Virtual Terminals into a single ssh or physical console TTY login session and I've been in love with screen command since day 1 I found out about it. To start using screen just invoke it into a shell and enter a screen command combinations that make various stuff for you. Passes a Ctrl-a through to the terminal session running within screen. Detaches from a screen session. Toggle flow control mode (enable/disable Ctrl-Q and Ctrl-S pass through). Detaches from and kills (terminates) the screen session. Passes a Ctrl-q through to the terminal session running within screen (or use Ctrl-a f to toggle whether screen captures flow control characters). Passes a Ctrl-s through to the terminal session running within screen (or use Ctrl-a f to toggle whether screen captures flow control characters). Also detaches from and kills (terminates) the screen session. Make the screen session a multi-user session (so other users can attach). Allow the user specified (USER) to connect to a multi-user screen session. CTRL + A + P, CTRL + A + N – I use this twoto move around all my open screen Virtual sessions. 3. HOW TO ACTUALLY SHARE TERMINAL SESSION BETWEEN MULTIPLE USERS? You need to have a single user account on a Linux or Unix like server lets say that might be the /etc/passwd, /etc/shadow, /etc/group account screen and you have to give the password to all users to be participating into the shared screen shell session. The home directory `/home/screen' already exists. Not copying from `/etc/skel'. That's all folks now everyone can type in simultaneously and enjoy the joys of the screen shared session. You have to instruct everyone to connect actually to the exact session we need, as screen -x will ask them to what session they like to connect. Sharing screen session between different users is even more useful to the shared session of one user as you might have a *nix server with many users who might attach to your opened session directly, instead of being beforehand instructed to connect with a single user. 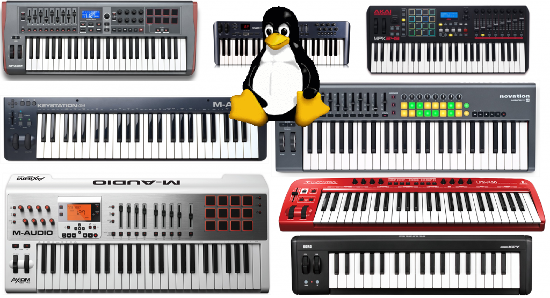 That's perfect also for educational purposes if you want to learn some Linux to a class of people, as you can use their ordinary accounts and show them stuff on a Linux / BSD machine. In order to be able to share screen Virtual terminal ( VTY ) sessions between separate (different) logged in users, you have to have screen command be suid (SUID bit for screen is disabled in most Linux distributions for security reasons). Must run suid root for multiuser support. In the recent past it was impossible to add multiple different SSL .crt / .pem bundle certificates on Apache Webserver but each one of it was supposed to run under a separate domain or subdomain, preconfigured with a separate IP address, this has changed with the introduction of Apache SNI (Server Name Indication). 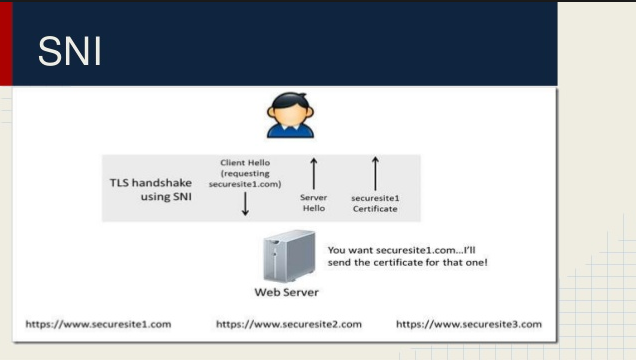 What SNI does is it sends, the site visitor initiating connections on encrypted SSL port (443) or whatever configured a certificate that matches, the client requested server name. Note that SNI is Apache HTTPD supported only and pitily can't be used on other services such as Mail Servers (SMTPS), (POP3S), (IMAPS) etc. Older browsers did not have support for proper communication with WebServers supporting SNI communication, so for Websites whose aim is interoperatibility and large audience of Web clients still the preferrable way is to set up each VirtualHost under a separate IP, just like the good old days. However Small and MidSized businesses could save some cash by not having to buy separate IPs for each Virtualhost, but just use SNI. Besides that the people are relatively rarely using old browsers without SNI, so having clients with browsers not supporting SNI would certiainly be too rare. 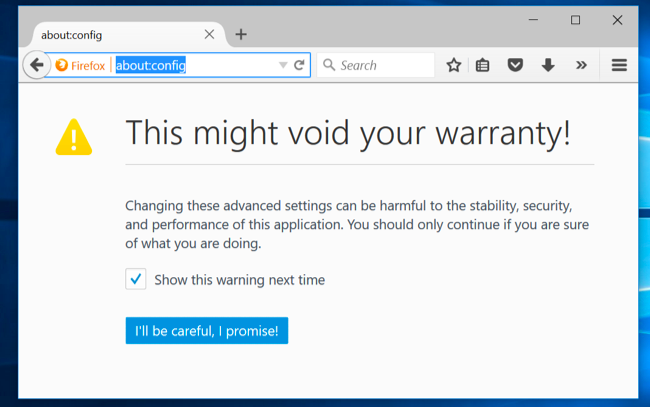 To recognize where a browser is having support for TLS or not is to check whether the Browser has support for TLS extension. One requirement in order for SNI to work properly is to have registered domain because SNI works based on the requested ServerName by client. Here among the prompted questions you need the a Distinguished Name or a DN. If you enter '. ', or press enter the field will be left blank. Note that domain pricing could value depending on the type of domain name country extension and many of the domain registrars would give you discount if you purchase domain name / SSL for 2 / 3+ years. 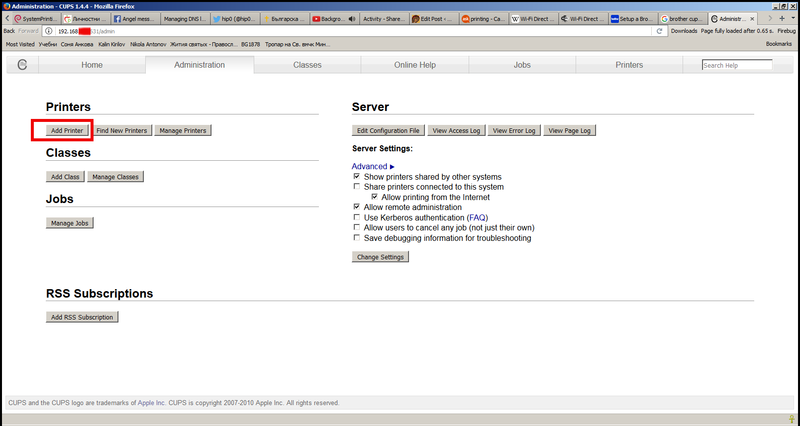 # Enable/Disable SSL for this virtual host. # /usr/share/doc/apache2.2-common/README.Debian.gz for more info. Add as many of the SNI enabled VirtualHosts following the example below, or if you prefer seperate the vhosts into separate domains. I also recommend to check out Apache's official documentation on SNI for NameBasedSSLVhostsWithSNI etc. Windows 7/8 Volume Icon disappear from Taskbar? If you are using Windows 7 or Windows 8 Operating System inside a corporate network and your notebook PC is inside domain controller controlled by some crazy administrators who for some reason decided to remove the Taskbar from your Taskbar tray you have come over to exactly same situation like I do here. Actually some might have experienced an icon "combined" feature which gives the opportunity of some of the standard Tray icons we know since Windows 98 / XP onwards to not show full time in order to save you space. 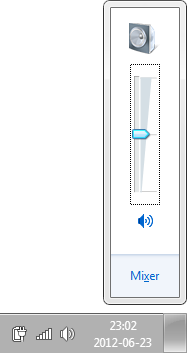 No doubt this feature is great one to use as it is distracting sometimes to have a tons of applications constantly keeping in the Taskbar (right down corner) however if the Active Domain admin did it without any notification and you're a kind of victim you might dislike especially since this behaviour is making you impossible to easily control your phone / headspeakers and mic. 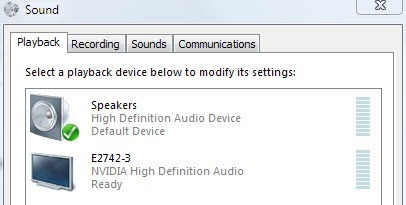 If you check in the Control Panel and click on Sounds menu in Windows 7/8, you don't see any checkbox for adding the icon back as I have assumed, , but instead all the audio there you can only see the inputs and outputs on your system general settings. This behavior was made on purpose and makes sense cauze the taskbar icons since Win XP (if not mistaken) has to be controlled by the taskbar settings pan. 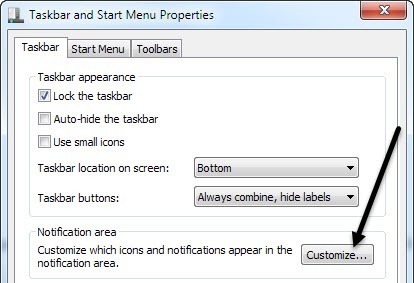 Thus in order to bring back the disappeared icon on Winblows 7 / Win 8 there is a taskbar properties feature enabling to to hide or view the various taskbar running apps in that number the Volume icon, hence to bring back your Volme Control speaker icon to taskbar you need to customize it. 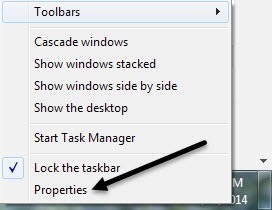 To do so do a mouse Right-click anywhere on the taskbar and choose Properties. 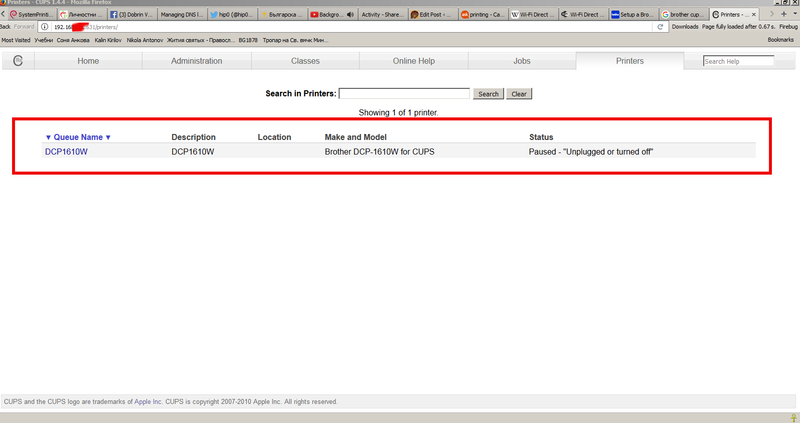 Now, click on the Customize button under Notification area. To make the new behaviour active click on Turn system icons on or off. If the reason for the disapperance of the Volume controller in task is not due to Domain Controllear policty it could happen due to late updates pushed by Microsoft if the PC needs a restart or after computer Log off operation. Another reason for the casual disappearance of sound box could be also a buggy driver, so if the icon keeps disappearing over and over again, you better try to update the driver for your sound card. 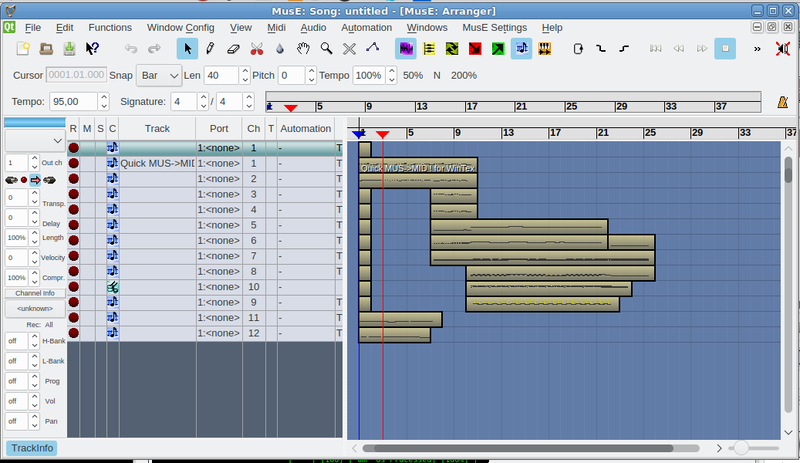 opens the volume mixer, as you noted. AutoHotKey Win+B to focus on the system tray, Left (arrow) to highlight the Volume Control icon , and then Enter to bring up the popup. If you're using Mozilla Firefox browser to browse the Web with Traffic Tunneling via SSH Tunnel to your own Linux server like I do in order to prevent yourself traffic to be sniffed from your Work corporate computer (as most of the corporations such as IBM / Hewlett Packard / Concentrix etc. are forcing all employee PC traffic to be to be transported via default set Windows Corporate Proxy active for all browsers. How to force DNS requests to be made through the Proxy server (SSH host)? Nomatter where you're using Firefox browser with advanced proxying plugin such as FoxyProxy FF add-on or the default Proxy FF features the DNS lookups might end up in Corporate set DNS servers often forced for the computer / notebook and impossible to be changed to a custom ones as many of the Corporation internal Sharepoints and domains are only visible from their internal networks. Click I'll be careful I promise. 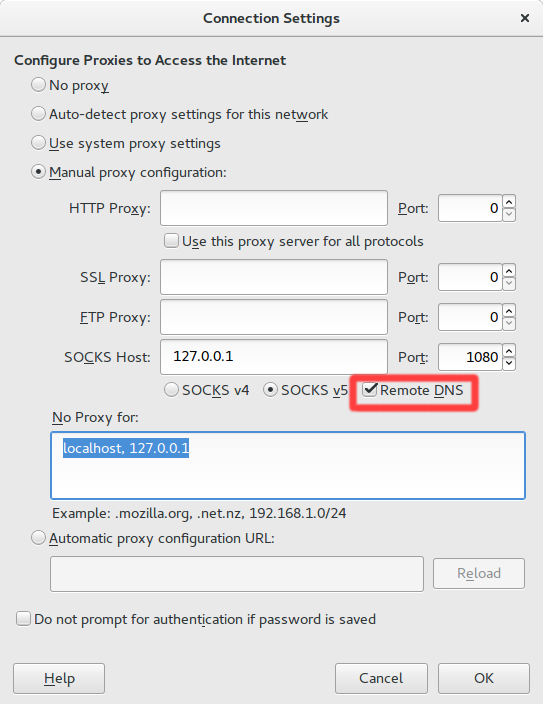 Find the preference name called *network.proxy.socks_remote_dns*. Double click it to set it to true. Blog and websites hosted on a server were giving bad performance lately and the old SATA Hard Disk on the Lenovo Edge server seemed to be overloaded from In/Out operations and thus slowing down the websites opeining time as well as SQL queries (especially the ones from Related Posts WordPress plugin was quite slow. Sometimes my blog site opening times were up to 8-10 seconds. To deal with the issue I obviously needed a better speed of I/O of hard drive thus as I've never used SSD hard drives so far, I decided to buy a new SSD (Solid State Drive) KINGSTON SV300S37A120G, 605ABBF2, max UDMA/133 hard disk. Mounting the hard disk physically on the computer tower case wasn't a big deal as there are no rotating elements of the SSD it doesn't really matter how it is mounted main thing is that it is being hooked up somewhere to the case. Well great news as you see from above output obviously the Kingston SSD HDD was detected by the kernel. 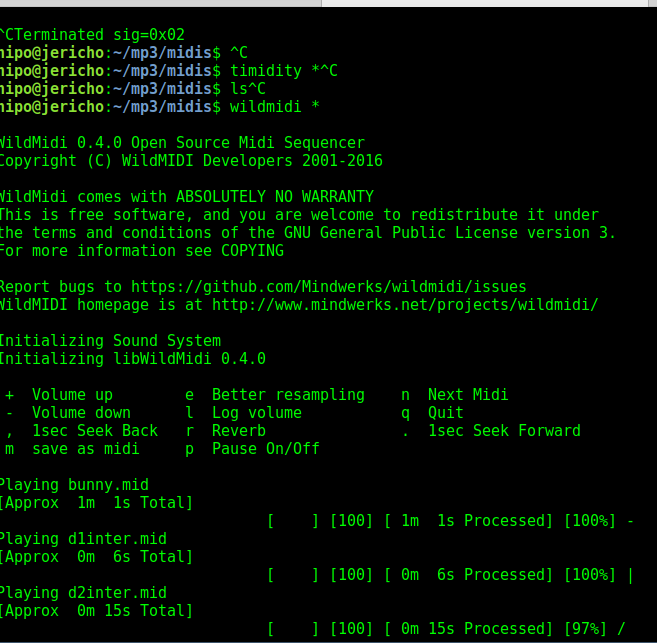 Even better as the proper HDD sizing was detected by Linux kernel. 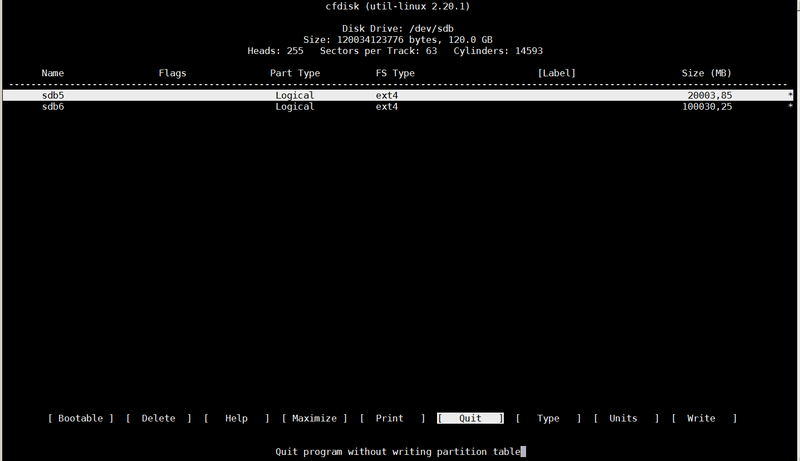 Next thing to do was of course to create ext4 filesystem on the SSD HDD. I wanted to give 2 separate partitions for my Webserver Websites DocumentRoot directories which all lay under the standard Apache location inside /var/www as well as MySQL data folder which is also under the standard Debian based Linuces – /var/lib/mysql as the SQL data directory was just 3.3 GB size, I've decided to reserve 20GB gigabytes for the MySQL and another 100 GB for my PHP / CSS / JS / HTML and other data files /var/www. I' will skip explainig details on how to use CFDISK as it is pretty standard – display or manipulate disk partition table tool. Just press on NEW button (moving with arrow keys buttons) and choose the 2 partitions size 100000 and 20000 MB (one thing to note here is that you have to choose between Primary and Logical creation of partitions, as my SSD is a secondary drive and I already have a ) and then press the WRITE button to save all the partition changes. !!! Be very careful here as you might break up your other disks data make sure you're really modifying the SSD Hard Drive and not your other /dev/sda or other attached external Hard drive or ATA / SATA disk. Next thing to do before the two partitions are ready to mount under Webserver's files documentroot /var/www and /var/lib/mysql is to create ext4 filesystem, though some might prefer to stick to ext3 or reiserfs partition, I would recommend you use ext4 for the reason ext4 according to my quick research is said to perform much better with SSD Hard Drives. That's great now the filesystem mounts fine, however as it an SSD drive and SSD drives are being famous for having a number of limited writes on disk before the drive lifetime is over it is a good idea to increase a bit the lifetime of the SSD by mounting the SSD partitions with noatime and errors=remount-ro (in order to not log file access times to filesystem table and to remount the FS read only in case of some physical errors of the drive). I personally prefer rsync because rsync is much quicker and more efficient in copying large amount of files in my case this were 48 Gigabytes. As I digged deeper into how to even further optimize SSD drive performance I learned about the cleaning action TRIM of the partitions for a long term performance proper operation, to understand it better think about trimming like Windows degrament operatin. 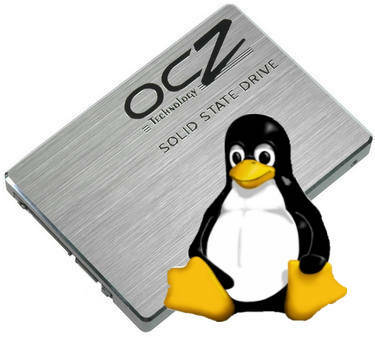 solid-state drives (SSDs) and thinly-provisioned storage. Trimming is really necessery, otherwise SSD become very slow after some time. All modern SSD's support TRIM, but older SSD's from before 2010 usually don't. Thus for an older SSD you'll want to check this on the website of the manufacturer. It's easiest to let the system perform an automatic TRIM. That can be done in several ways. To add it I've used my favourite vim text editor. However the best way to enable automatic trimming to SSD is to just add the discard parameter to /etc/fstab I've already done that earlier in this article. Not really surprising the increase of websites opening (page load times) were decreased dramatically web page loading waiting time fall down 2 to 2.5 times, so the moral of story for me is always when possible from now on to use SSD in order to have superb websites opening times. To sum it up what was achieved with moving my data into SSD Drive, before moving websites and SQL data to SSD drive the websites were opening for 6 to 10 seconds now sites open in 2 to 4.5 seconds which is below 5 seconds (the normal waiting time for a user to see your website). By the way it should be not a news forfor people that are into Search Engine Optimization but might be for some of unexperienced new Admins and Webmasters that, all that all page opening times that exceeds 5 secs is considered to be a slow website (and therefore perhaps not worthy to read). The high load page times >5 secs makes the website also less interesting not only for end users but also for search engines (Google / Yahoo / Bing / Baidoo etc.) will is said to crawl it less if website is slow. Search Engines are said to Index much better and crawl more frequently into more responsive websites. Hence implementing SSD to a server and decreasing the page load time should bring up my visitors stats a bit too. 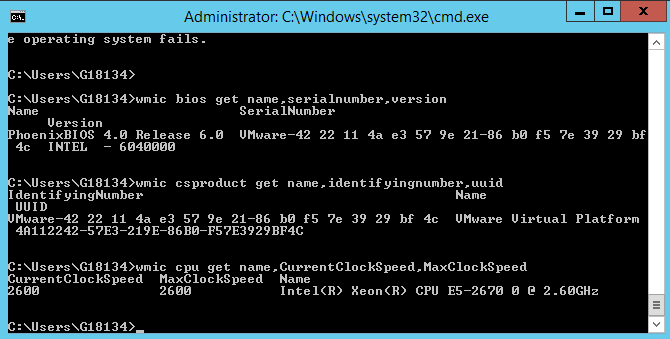 Now though systeminfo's hardware details and installed Windows KBXXXXX OS Hotfix patches are getting lists the command does not provide you with info about system’s BIOS, thus to get this info you'll have to use also wmic (Windows Management Instrumentation Command). 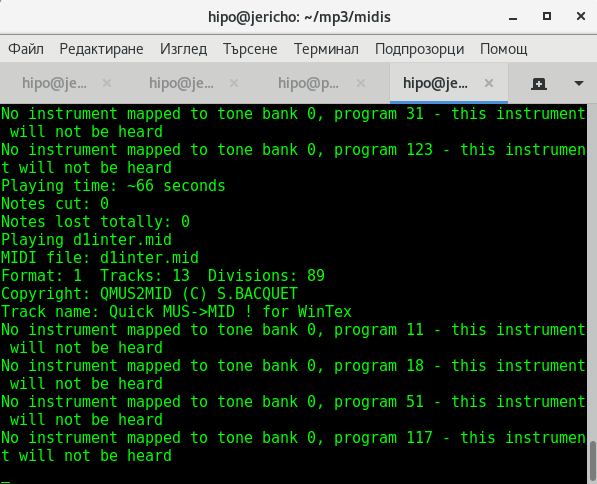 WMIC extends WMI for operation from several command-line interfaces and through batch scripts. Before WMIC, you used WMI-based applications (such as SMS), the WMI Scripting API, or tools such as CIM Studio to manage WMI-enabled computers. Without a firm grasp on a programming language such as C++ or a scripting language such as VBScript and a basic understanding of the WMI namespace, do-it-yourself systems management with WMI was difficult. WMIC changes this situation by giving you a powerful, user-friendly interface to the WMI namespace. 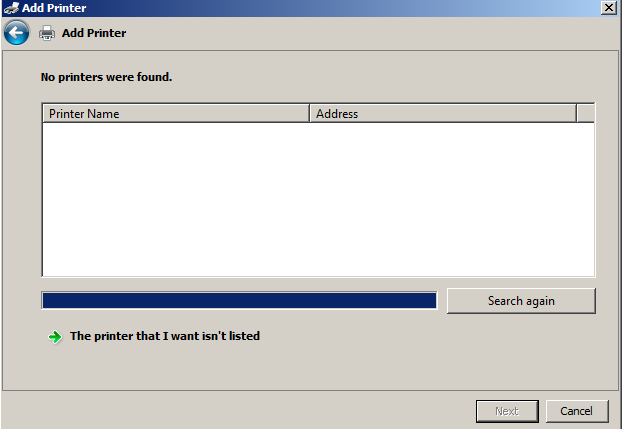 Above will print name if your BIOS, current version and it’s serial number if there is any. Also if you have turbo boost CPUs above command will help you find what’s the Max Clock Speed your system is capable of for the current hardware configuration. If you do have dynamic clock speed running, then add this line, will refresh and monitor the Clock speed every 1 second.